There are many collectors and restorers dedicated to Military and Service vehicles. The vehicles are carefully restored for museums, organizations and private collections and are rolling monuments of military history in America. Many of the vehicles are seen at special events and parades as well as museum exhibits. Coker Tire Company offers an incredible selection of authentic tires for military vehicles and vintage commercial trucks, from the diminutive early Jeeps all the way up to the massive NDT fitments for the heavy haulers and everything in between. 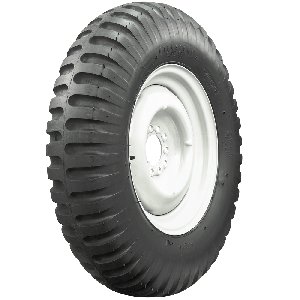 The trademark look of many classic military vehicles are the flat camo paint and of course the heavy duty tires, and nobody has a better selection of authentic tires for military vehicles than Coker Tire Company. Coker Tire Company is the world's leading supplier of tires and wheels for collector vehicles. Military and vintage truck collectors depend on Coker Tire for authentic tires. Our vintage truck offering includes the legendary BF Goodrich Super Duty tire. This workhorse tire helped build America on countless trucks and service vehicles. 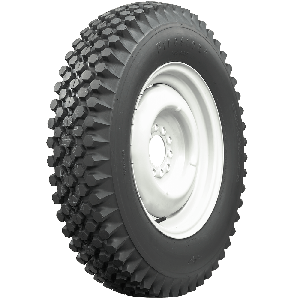 36-40 " sizes of the classic BF Goodrich tire are faithfully recreated and offered for restored and survivor trucks and heavy haulers. 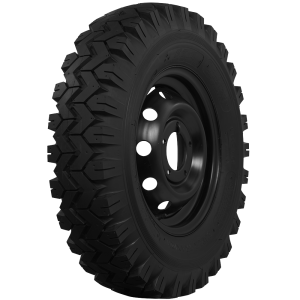 The tires feature authentic tread designs and sidewall markings. Firestone was original equipment on many iconic military vehicles. Coker Tire Company offers Firestone military tires as excellent replacement tires for restored vintage military vehicles, Jeeps and trucks. These popular service vehicles are used in parades, displays and museums across the United States and are well known for their rugged purpose-built bar-grip tires. Buy authentic military Firestone tires with confidence from the world's leading supplier of tires and wheels for collector vehicles. Coker Tire Company offers an extensive line of STA tires to fit your vintage truck, whether you need a highway, military or off-road traction applications. 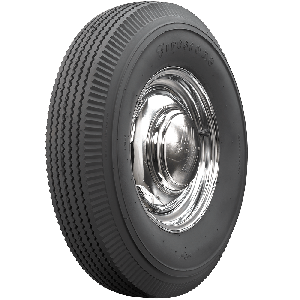 These tires feature authentic tread designs and sidewall markings and are excellent for restored and survivor vintage trucks. STA Military tires are available in NDT, NDCC and Directional designs in several popular sizes. 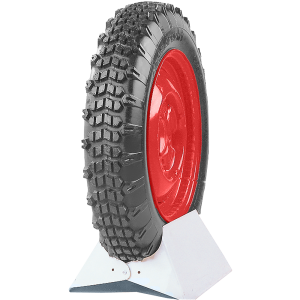 The excellent classic light truck tires from Tornel feature authentic tread designs and sidewall markings. 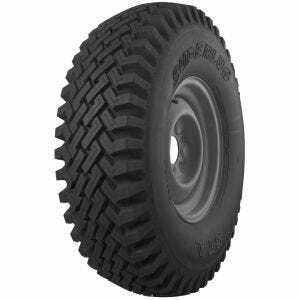 These tires are available in popular 16 and 17 " sizes for classic light truck applications. 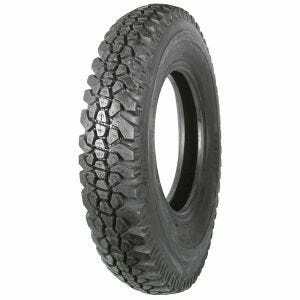 Tornel tires are an excellent choice for restored and original classic light trucks. Deka vintage tires are available in fitments for classic vehicles requiring 525-16 tires and two motorcycle tire sizes. Deka tires from Coker Tire Company feature an aggressive off-road style traction design. Deka tires feature authentic tread designs and sidewall markings. 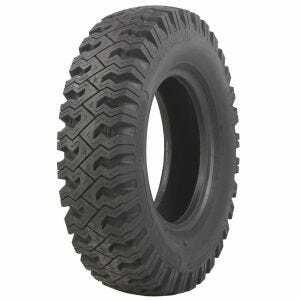 The Non-Directional tire or NDT, is an early tire tread design for off-road use (also know as bar-grip). Developed in the thirties, the NDT was the standard tire tread used through the entire United States military campaigns of World War II and into the 1970s. 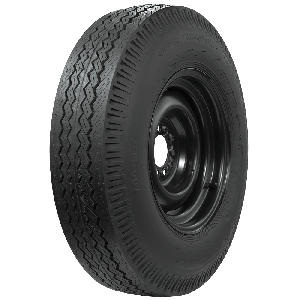 The legendary NDT tires would eventually succumb to more modern designs in tread and construction, but not before becoming iconic, especially on the vehicles that made them famous, ranging from the rugged little Jeeps all the way up to the thunderous heavy haulers of the WWII era military. Not sure which tire is authentic to your military restoration? Contact a Tire Expert now for assistance in selecting the correct tire and tube for your vehicle.